The European Seminar in Historical Methodology is committed to debating issues surrounding the history of ancient Israel and Judah with the aim of developing methodological principles for writing a history of the period. 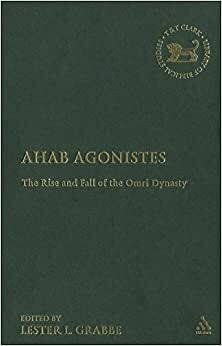 In this particular session the topic chosen was the Omride dynasty-its rise and fall-and the subsequent Jehu dynasty, down to the fall of Samaria to the Assyrians. Participants discuss such topics as the dating of prophetic texts, the house of Ahab in Chronicles, the Tel Dan inscription, the Mesha inscription, the Jezebel tradition, the archaeology of Iron IIB, the relationship between the biblical text and contemporary sources, and the nature of the Omride state. The volume incidentally gives a reasonably comprehensive treatment of the main sources, issues, debates, and secondary literature on this period of Israel's history. An introductory chapter summarizes the individual papers and also the relevant section of Mario Liverani's recent history of the period. A concluding `Reflections on the Debate' summarizes the issues raised in the papers and provides a perspective on the discussion. Lester L. Grabbe is Professor Emeritus of Hebrew Bible and Early Judaism at the University of Hull.He is founder and convenor of the European Seminar in Historical Methodology.A recent book is Ancient Israel:What Do We Know and How Do We Know it?